NZXT has launched the H440 Hyper Beast Limited Edition chassis. It is yet another H440 variant. We reported on the original groundbreaking H440's launch back in January 2014, noted the special colour releases the following April, then gave the chassis a thorough HEXUS review in July. In November that same year we saw the first Special Edition launch with green Razer logo and lighting. All was quiet in 2015, but in January 2016 the NZXT H440 New Edition was launched and again subjected to a review here at HEXUS labs. Then this summer Team EnVyUs announced the H440 EnVyUs. Now, as the headline says, NZXT has another one for you. 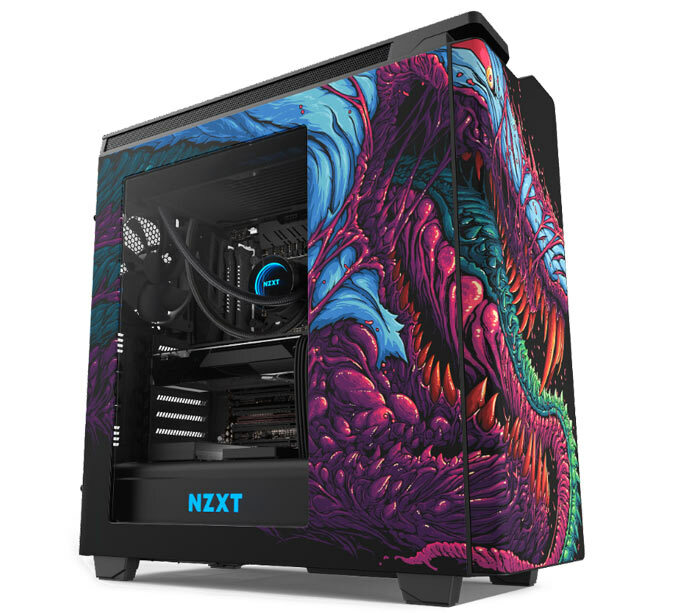 The NZXT H440 Hyper Beast Limited Edition chassis was designed by Brock Hofer, the graphic artist behind cool looking Hyper Beast graphic enhanced in-game items. CS:GO fans will likely know the name and guess that, yes, this chassis is designed just for them. 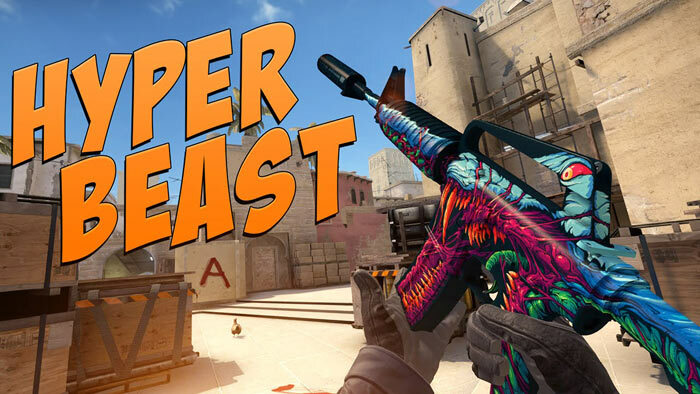 The design you see dominating the chassis is based upon the CS:GO M4A1-S Hyper Beast weapon skin. Ramping up the desirability of this chassis is its limited availability. NZXT is strictly limiting product to a one-time run of 1,337 units. Furthermore, each chassis sports a uniquely numbered limited edition metal badge. 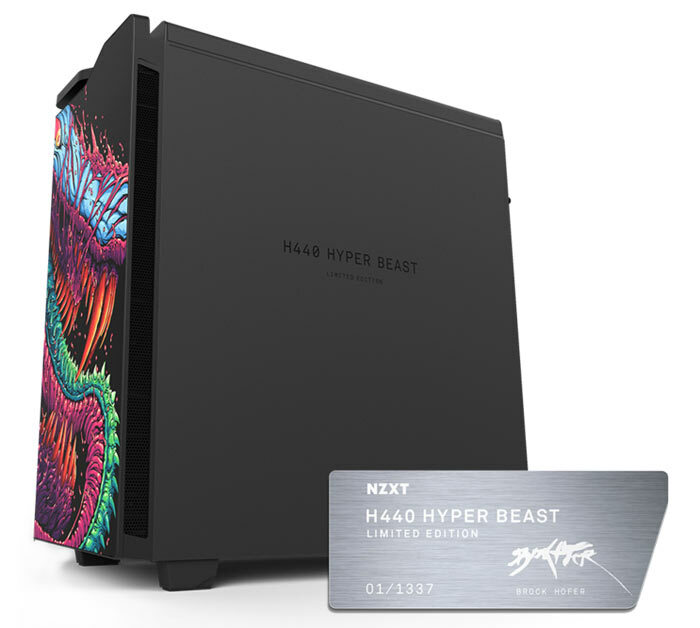 Johnny Hou, NZXT’s founder and CEO, said that the NZXT H440 Hyper Beast Limited Edition came about because the guys at NZXT are "gamers at heart". Those who have read the HEXUS review of the latest NZXT H440 New Edition will be aware of this product's doorless, ODD-free steel hewn front panel, large window, clean cable management, and roomy interior for easy cooling and capacity for choice components. The 'Hyper Beast' offers all the new H440 key specifications as bullet pointed below. NZXT informed HEXUS that the H440 Hyper Beast will become available from 9th December, priced at £199.99 inc. VAT at Scan. Twice the normal price?! I'm in! Really stupid pricing, still somebody will probably buy it.